This recipe originally appeared on my first blog, Amy's Cooking Adventures, in January 2012. Enjoy! Cheers! Tomorrow is New Year’s Eve! We all love champagne, so why not add some cupcakes? I absolutely love this recipe, because it makes a small batch that is perfect for a small, intimate get together! This recipe originally appeared on my first blog, Amy's Cooking Adventures, in May 2011. Enjoy! Everyone loves champagne on New Year’s Eve, so why not make something exciting by adding some velvety Champagne Truffles to your dessert table! Plus, the recipe only used ¼ cup of champagne, so you get to drink the rest! Yesterday I shared my Blue Button Ornament Cookies. Today on Christmas Eve, I have for you the Blue & Pink Christmas Trees that accompanied them. This year I wasn’t really feeling a red & green Christmas. Nope, this year was felt like a blue Christmas. My Gingerbread House was white and blue and purple. And this year’s ornament cookies were blue. And while I used the same cookie cutters as last year, I put a little spin on them this year. After cutting the cookies out, I dug through my collection of vintage buttons and chose some of the most decorative ones and made a deep impression into the raw dough. These Christmas cookies originally posted on my first blog, Amy’s Cooking Adventures, last year. I loved them so much that I almost repeated them this year. Stop by tomorrow to see this year’s creations! Tomorrow is already Christmas Eve, can you believe it? It is so easy to get caught up with everything else at Christmastime. Finding the perfect gift, picking out the perfect Christmas card, planning menus, and baking, baking, baking. Things often don’t go as planned. This year, I forgot to buy gifts for two people until the very last second, my sewing machine broke and I wasn’t able to finish several handmade gifts, time got away from me and I only made half of the holiday goodies I had planned to make. But do you know what I did do? I played with my children and read them stories. They learned about Jesus and the Nativity. We lit Advent candles and we learned new prayers. Even though things didn’t go as planned this holiday season, I still feel fulfilled. Because, looking back, things did go as planned. 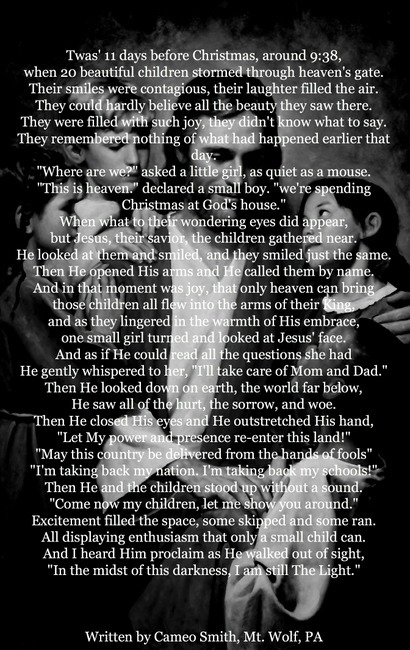 My children learned about the true gift of Christmas and there is really no greater gift. These are Gingerbread Cookies decorated with Royal Icing. Recipes found here. This year I decided that I was finally going to make gingerbread houses. And not the graham cracker ones either! One of the most enjoyable parts of a gingerbread house is, of course, finding all of the candy and trimmings! Without an actual candy store in the area, I was forced to get a little creative. Most of the candies (M&Ms, candy canes, red hots, watermelon slices, and gum drops) were found in my grocery store’s candy aisle. I thought that chocolate Pop Tarts would make the perfect roof tops, so those were in the breakfast aisle. And the rest? Well, that’s all Halloween Candy! It was the perfect use for all that candy that was just sitting around! The boys made their houses first. My husband and I built the houses, complete with roofs about an hour before the boys started. I wanted to give the royal icing a chance to dry and make a nice, study structure. Do you remember making those graham cracker houses in elementary school? Inevitably, someone would be working with a heavy hand and the whole thing would go tumbling down and tears of frustration would be flowing. Definitely not what I wanted. I wanted a fun time for the whole family. My 4 year old decorated his house completely by himself – I only added the royal icing. He would point to a spot, I’d pipe the icing, and he’d do the rest! Didn’t he do a great job? I had intended to start posting new creations this week, but then I realized that it’s the week before Christmas and that’s just crazy! So, Amy’s Confectionery Adventures will officially launch in January. Until then, let’s enjoy some festive treats from my first blog, Amy’s Cooking Adventures, in Blast from the Past Week! Wow! Where has the time gone? Christmas is upon us and I have a bunch of Christmasy recipes that I have yet to share! So Merry Christmas, everyone, I’m posting every day this week (fingers crossed). He was invited to a potluck and it provided the perfect excuse to make us some yummy, minty cupcakes! These were perfect and I already had all the ingredients on hand. Now I would be lying if I told you he went to the potluck with 24 cupcakes. I had to be able to tell you how great they are didn’t, I? The best bite of the whole cupcakes comes when you get to the center and get that extra little minty surprise inside that perfectly mimicked the creamy peppermint frosting. Hmmm…maybe Santa needs cupcakes instead of cookies this year…. *For a great photo tutorial on how to swirl two colors of frosting together, click here. This recipe originally posted as a guest post last year, but the cool mintiness is still one of my favorites! Are you ready for this year’s first Christmas cookie? I have a great one for you! These little lovelies are chocolate chip cookies that taste like thin mints and mint chocolate chip ice cream all in one. Hello, Delicious! The key to these cookies is the combination of mint baking chips and peppermint extract in the dough, plus a little green food coloring to make them “look” minty. While these cookies would be fantastic at any time of year, I can specifically see them, in all their festive green glory, at Christmas or St. Patrick’s Day. So pull up a glass of milk and enjoy! This recipe originally appeared on my first blog, Amy's Cooking Adventures. Last week, I got a request from our neighbor to make a first birthday cake for their daughter. They wanted something simple and pretty to coordinate with their pretty princess themed birthday party. We came up with an elegant design that included a bow and some polka dots to add a little whimsy. The day of the party, a tiara was added as a topper, but since I was out of town by then, I was unable to photograph it. Since they wanted a white cake, I decided to branch out from my usual cake recipe and use my other favorite, White Almond Sour Cream Cake. This makes a nice moist cake that holds up well to decorating and stacking. Happy Birthday, Sophie! Welcome all you enjoyers of confections! 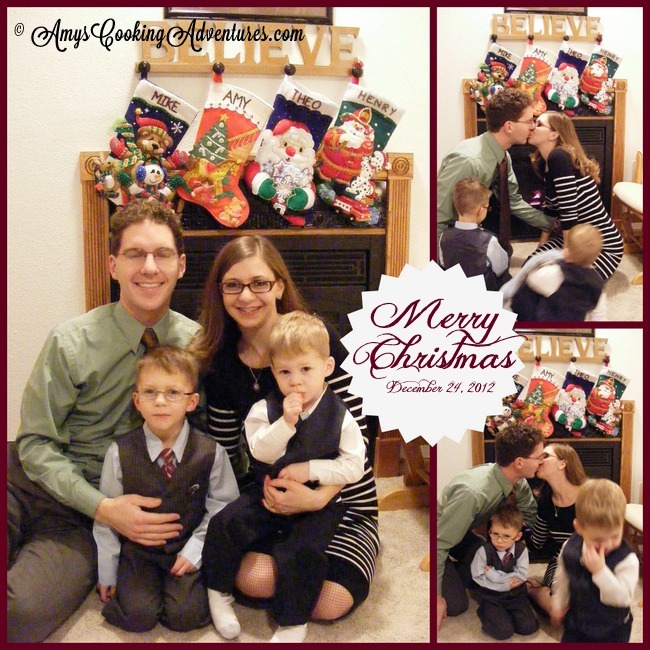 When I first began blogging at Amy’s Cooking Adventures in 2010, I had no idea of the scope the blog would take. Nor did I realize how much I would come to love decorating cookies, cakes, and everything in between! The confections have taken on a life of their own and deserve their own place to be celebrated and enjoyed. 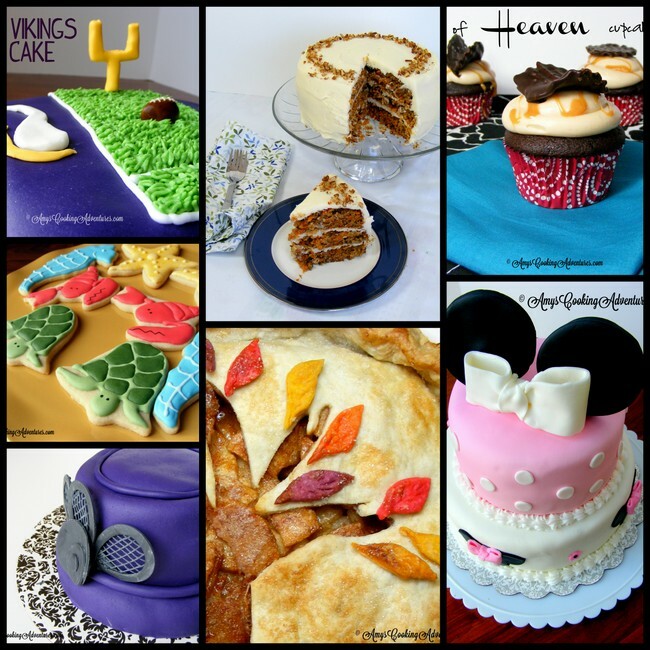 Here on Amy’s Confectionery Adventures, you’ll see and enjoy some recipes and tutorials. You’ll also see some of my own designs, and also some that have been inspired by some of the other wonderful ladies from around the blogosphere. Some of the creations will come over here from Amy’s Cooking Adventures, but there are a great many that will be new! So join me as we celebrate the beauty and art that you can eat!